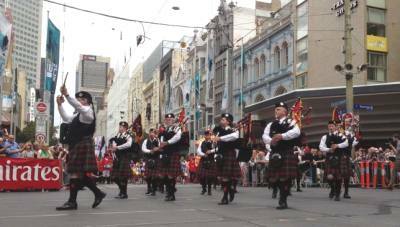 It’s another favourite on the Band’s calendar – the annual Melbourne Cup Parade down Swanston Street. The Band led this year’s parade, followed by the Cup itself, jockeys, trainers and owners, then former winners of the race. Photo courtesy Australian Broadcasting Corporation.